Welcome to World Imported Car Service. World Imported has served the S.F. 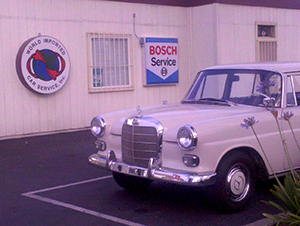 East Bay European auto service needs since 1968. We have an outstanding reputation and excellent record with both the Bureau of Automotive Repair and the Better Business Bureau. Also feel free to check our reviews on Yelp. WORLD IMPORTED is staffed with ASE Certified mechanics and is prepared to handle all of your Bay Area auto service and auto repair needs. 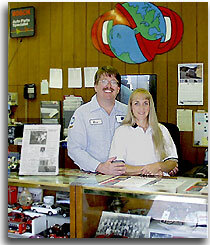 World Imported Car Service has maintained their commitment of providing excellence auto repair service. Being a second generation family owned, East Bay auto repair business, Integrity, competency and Value have created a winning combination for our customers. Even though, In our early years we provided service and repair to imported vehicles of all makes and models, we no longer find this feasible. The rapid technology changes in the automotive repair industry have dictated we strive for excellence in the types of vehicles we know best. This allows us to provide the highest level of training to our technicians and the greatest value to our customers. We appreciate your cooperation in this matter. We now specialize in Mercedes Benz, BMW, MINI, Audi, Porsche and Volkswagen repair. By narrowing our focus on just these select European classics, we have been able to master the diagnostic techniques and skills, that are so important in providing value to our customers. Our highly skilled auto technicians have extensively trained on just Mercedes Benz, BMW, MINI, Audi, Porsche and Volkswagen repair. By specializing in only these makes, World Imported has become East Bay experts in European auto repair diagnostics, saving you time and money. 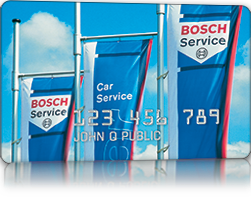 As a preferred cardholder, you'll receive benefits. Click here to learn more! World Imported specializes in Mercedes Benz, BMW, MINI, Audi, Porsche and Volkswagen service & repair. © World Imported Car Service Inc.
An Independent auto repair service company serving the SF East Bay Area, CA.